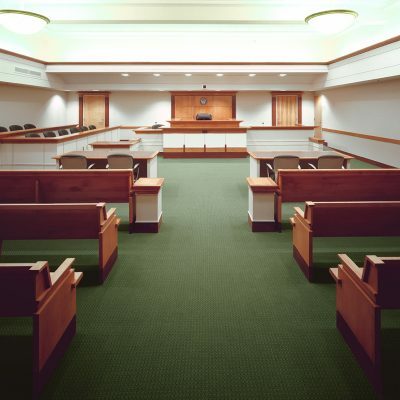 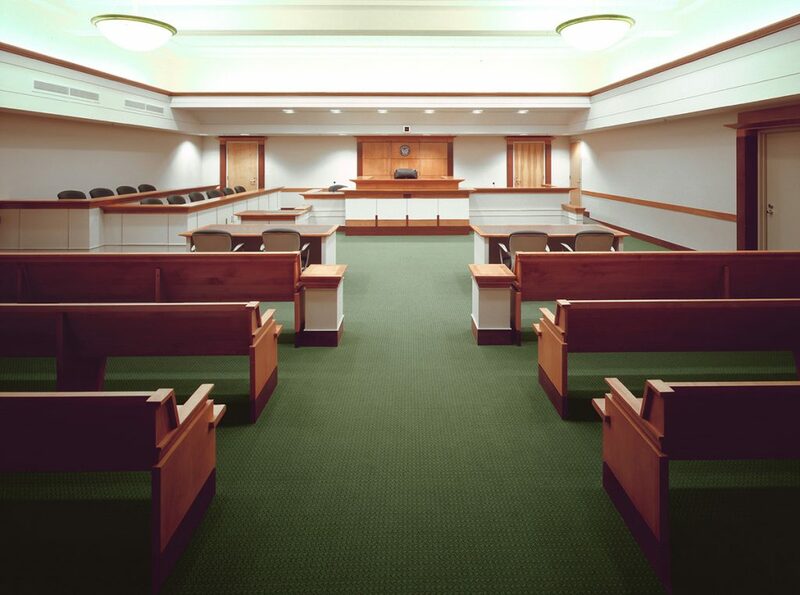 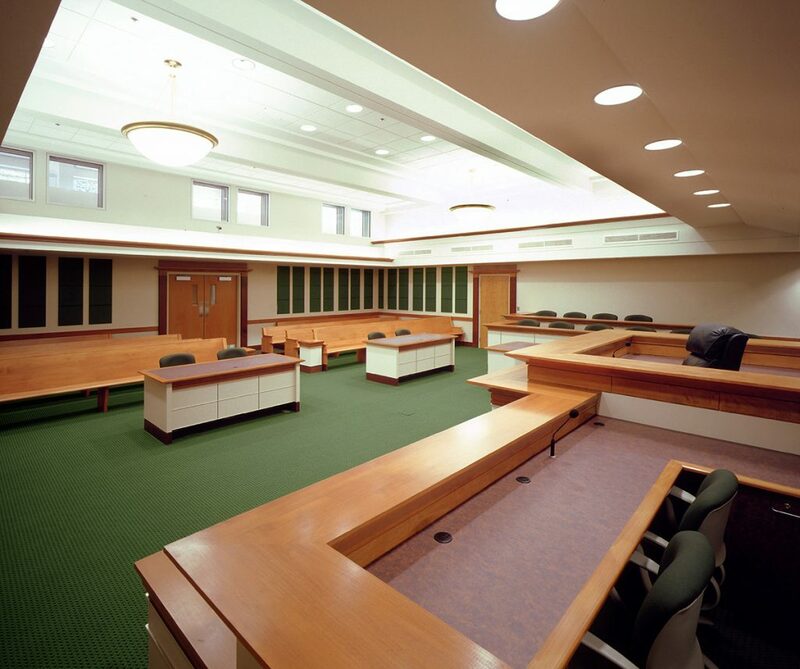 This facility provides courtrooms, jail, judicial suites and magistrate offices, clerks’ offices, and jury deliberation rooms. 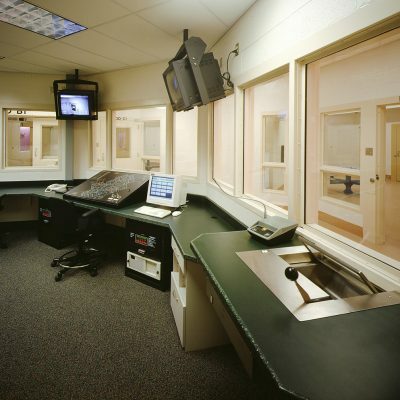 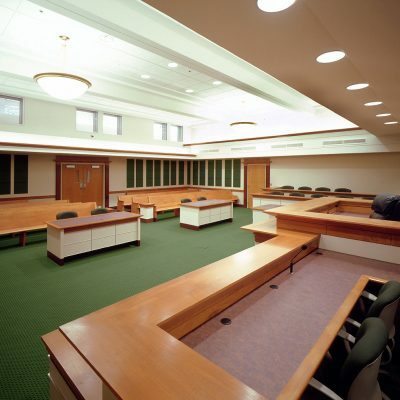 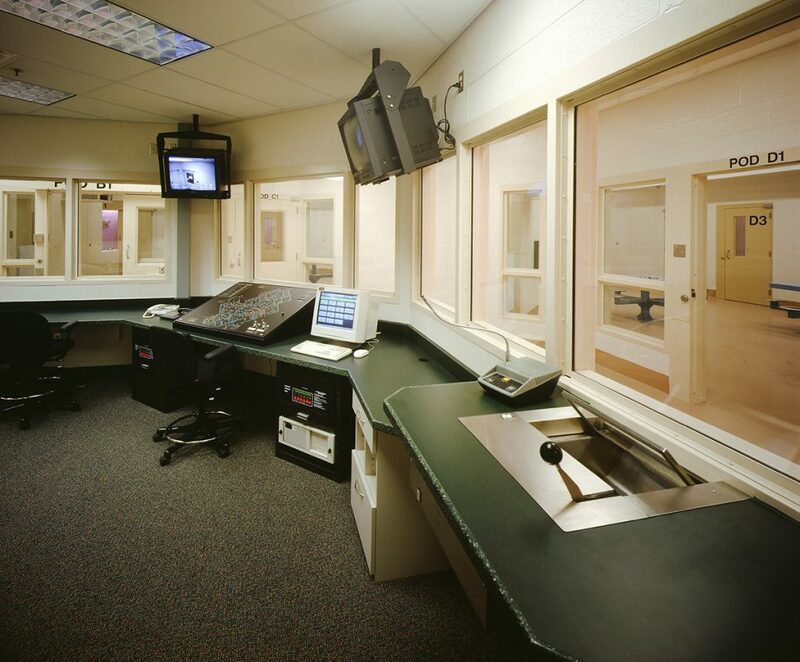 Each pair of courtrooms is served by a secured prisoner detention area that is connected to the lower level jail. 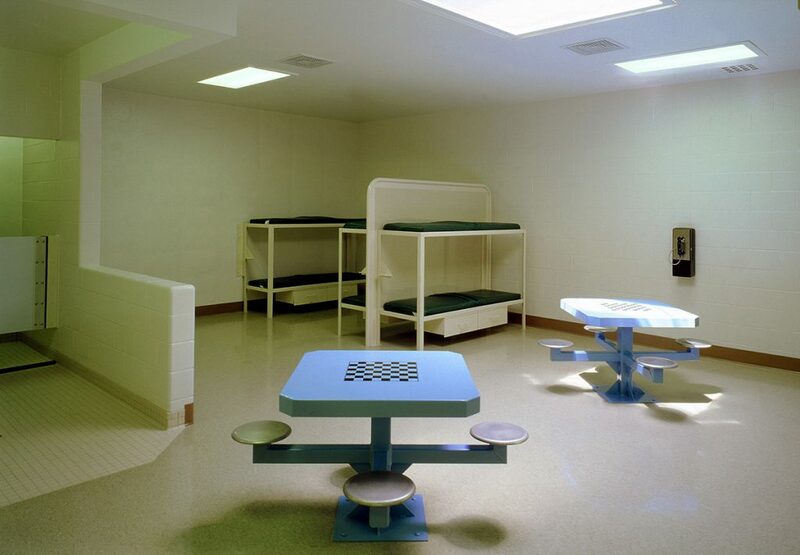 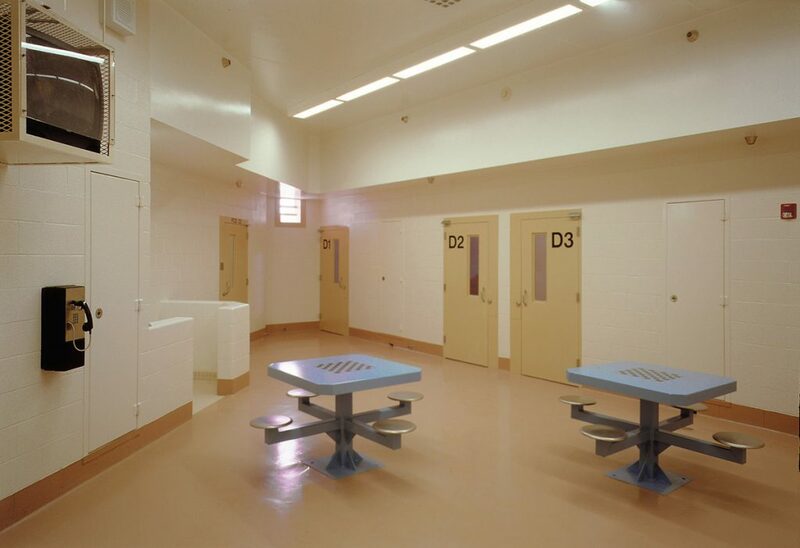 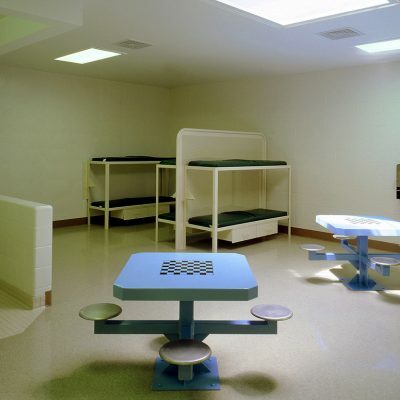 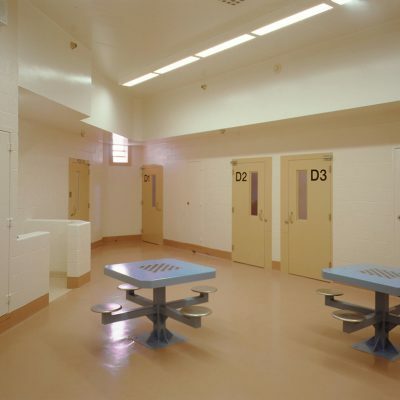 The full-service detention facility has separate holding facilities for adult and juvenile males and females. 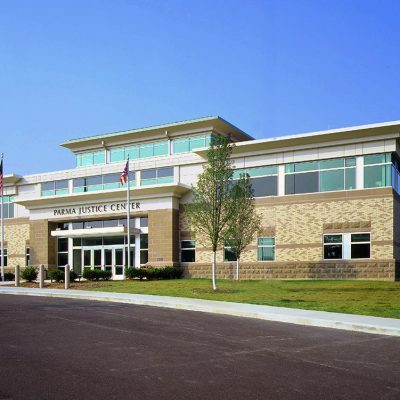 The Parma Justice Center has a strong base of brick and stone with individual windows, a second-story courts pavilion expressed through a linear contemporary cornice floating on columns defining linear glass to overview the Ohio hillside valley. 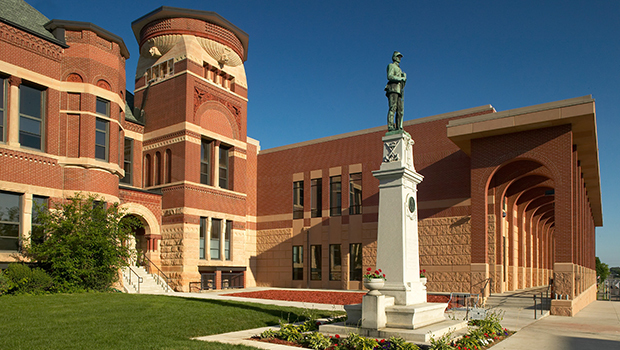 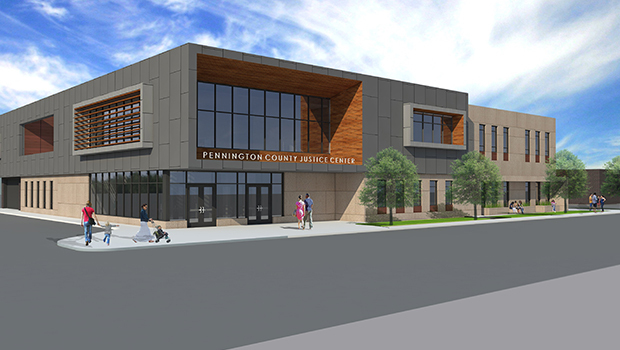 Sited on a hillside, the visible two-story courts and administration building sits atop a lower level 64,000 SF police and jail facility screened from community view by the hillside site. 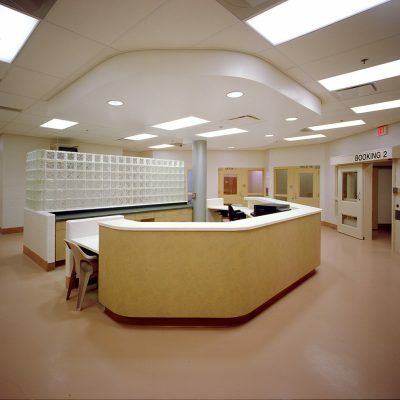 The first floor is the main entry and security area. 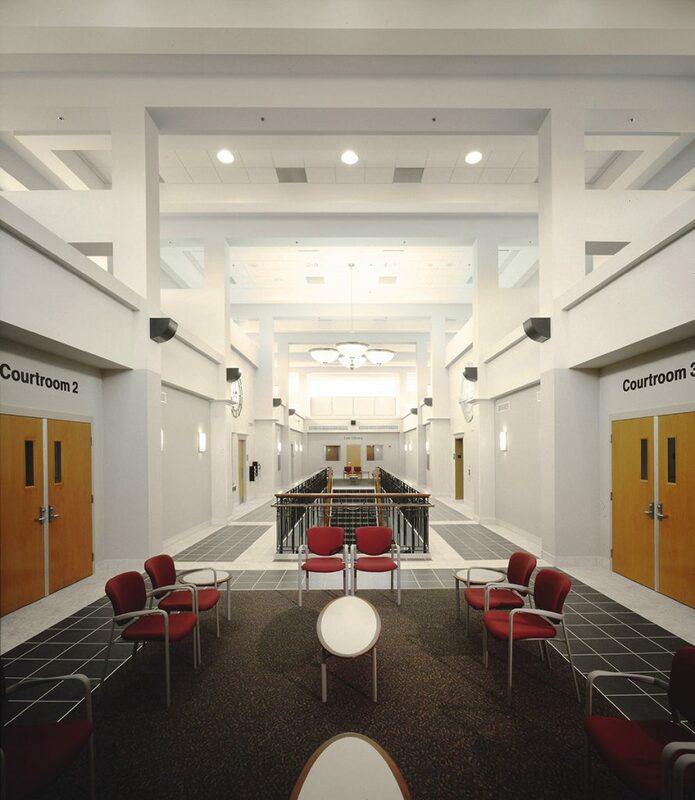 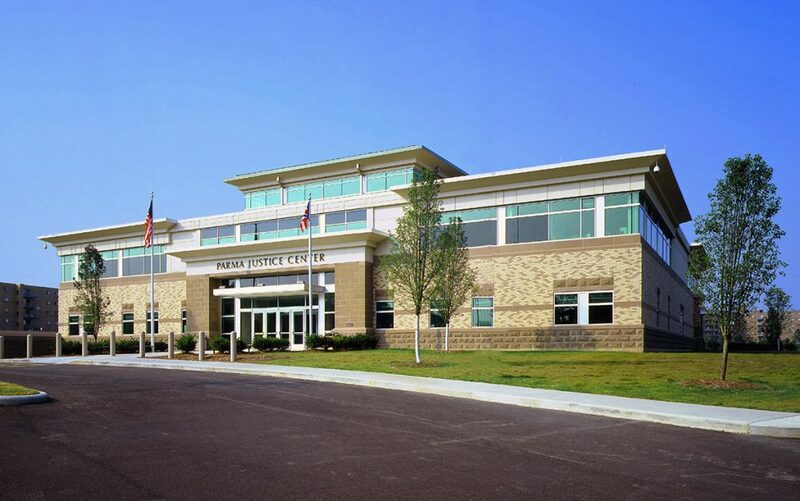 It offers court administration offices, service counters and attorney’s offices on one side of the main daylight atrium entry and the other side has the police administrative offices and service counters. 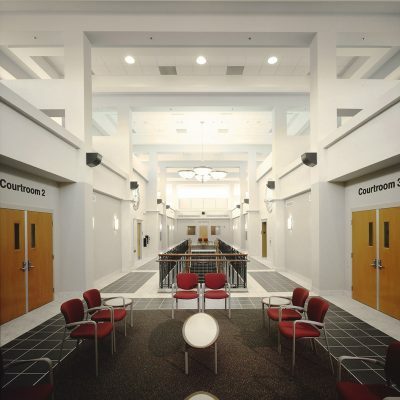 The first floor central atrium provides the public area for the service counters to court administration and police. 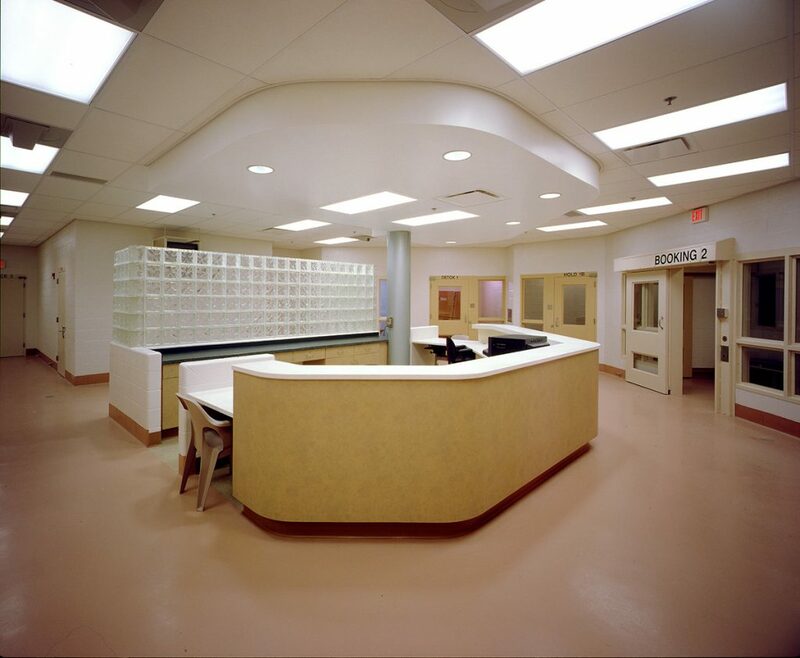 A restricted corridor for staff surrounds the atrium allowing all staff to interact without contact with the public.